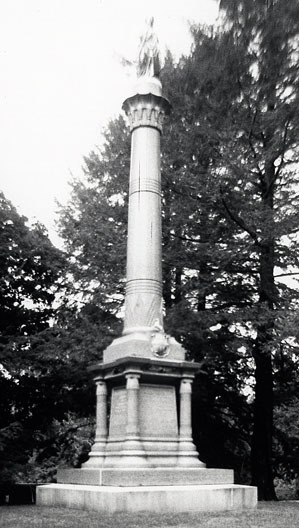 Commissioned by Samuel Colt’s wife, Elizabeth Jarvis Colt, and designed and constructed by Hartford architect and sculptor James G. Batterson, the Colt memorial monument in Hartford’s Cedar Hill cemetery, “corresponds with all the power and energy of the man whose name it will bear for all time to come,” wrote Henry Barnard in his 1866 book on the Colt legacy. The monument is an Egyptian Revival design (a popular funerary style in the mid-19th century) and is constructed of gray granite quarried in New London and rose-colored sienite, a compound rock, from quarries in the north of Scotland. 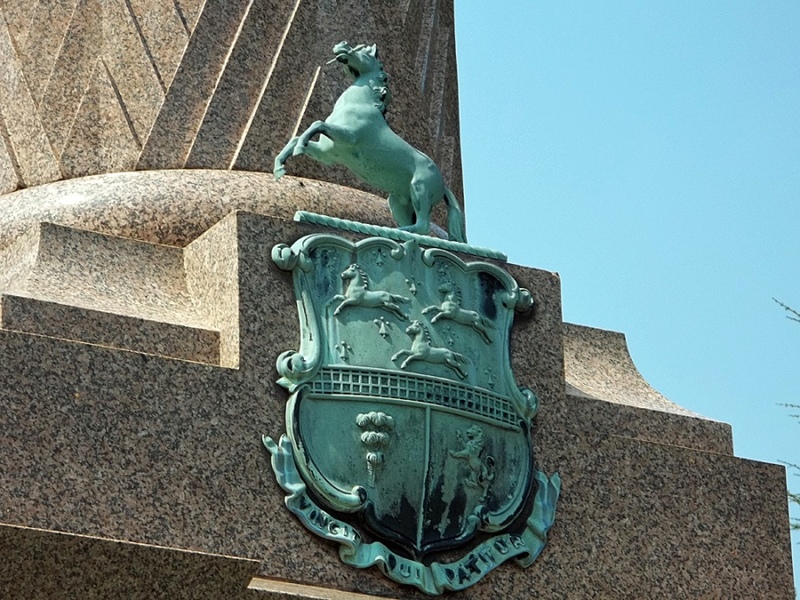 At 40 feet high, the monument incorporates pyramidal reliefs, a lotus flower capital, and the Colt family arms and is topped with a bronze statue modeled by sculptor Randolph Rogers. In 2008, the Cedar Hill Cemetery Foundation completed Phase One of Samuel Colt’s memorial restoration. As of 2012, the foundation is raising the necessary funds to complete Phase Two of the restoration.